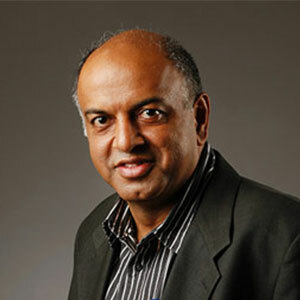 Sanjeev is the Founder and Executive Vice-Chairman of Info Edge, the company that runs Naukri.com. He founded Info Edge in 1990 and Naukri.com in 1997 and grew Info Edge to a market cap of Rs. 3800 Cr. Sanjeev won the Ernst and Young – Entrepreneur of the Year award in 2008 for Business Transformation and the Dataquest Pathbreaker Award & the Teacher’s Achievement Award for Business in 2008. Apart from speaking frequently at conferences and business schools, Sanjeev has co-authored two books on job search and careers. He is also a Founding Trustee of Ashoka University.